This bell is deep and profound, like the craggy Pemaquid Peninsula. With history stretching back before America's settlement, the land its coves have welcomed sailors for over 350 years. 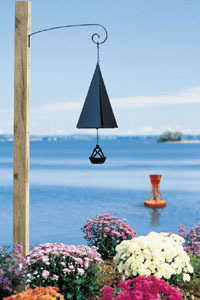 It is here that North Country Wind Bells was created!